What is a Washington Non-Disclosure Agreement? Washington Non-Disclosure Agreement: What Is It? 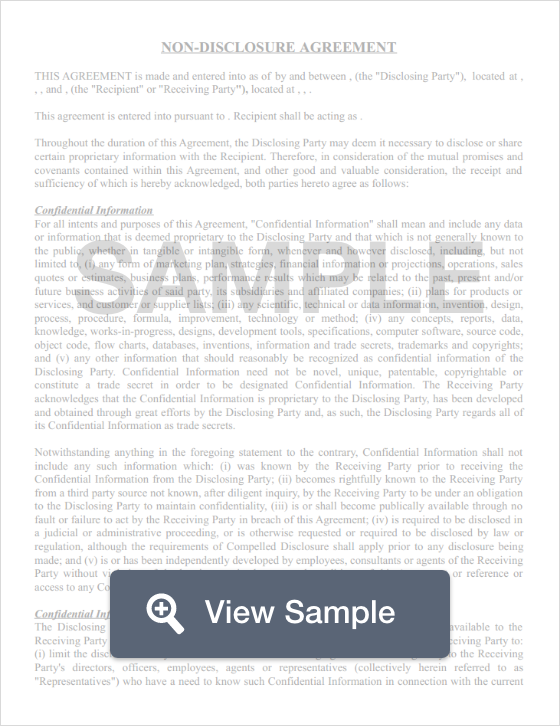 A Washington non-disclosure agreement is more frequently referred to as a confidentiality agreement. Washington non-disclosure agreements are legally binding contracts. When an employee or contractor signs it, they are bound to secrecy regarding certain items as defined in the document. Washington adopted the Uniform Trade Secrets Act, RCW §§ 19.108.010 through 19.108.930, to govern the use and construction of non-disclosure agreements. The purpose of a Washington non-disclosure agreement is to protect confidential information that is referred to as a trade secret. Washington’s Uniform Trade Secrets Act defines a “trade secret” as information such as a formula, pattern, compilation, program, device, method, technique, or process with its own actual or potential financial value. This value exists because the information isn’t generally known or discoverable by the public or another business to use for their own benefits. Any business wishing to protect information as a trade secret must take reasonable efforts to keep that information private. Washington’s Uniform Trade Secrets Act also explains the damages that a business may be entitled to receive if an employee or a contractor violates the NDA. Washington businesses should use a well thought out NDA as well as a well thought out Washington noncompete agreement to create the best possible protection for their information.